Posts Tagged "the overlook at rockford falls"
One of the exciting aspects of buying a new home in northern Delaware is the beautiful scenery. Your new home is the perfect backdrop for hosting an outdoor get-together for friends and family. Whether you’re planning a formal gathering or a casual get-together, use the following suggestions to get started with the planning process. It isn’t strictly necessary to choose a theme for a party, but it can be a helpful way to pull the event together and get everyone on the same page. If you do choose a theme, it’s best to send out invitations for the event that explains the theme and offers general recommendations for attire. Look beyond the time-tested Hawaiian-themed parties. For example, you could throw a Prohibition-era party that borrows from elements of speakeasies. Encourage guests to choose clothing reminiscent of the 1920s. Hold the party in the evening under outdoor lighting. Play jazz or blues, serve cocktails, and play music in the background. You could even use invitations that look like speakeasy membership cards. If you’d rather plan an informal outdoor party, consider hosting a potluck. Potlucks are much beloved by hosts everywhere because having the guests do some of the work means the hosts can socialize freely during the party. To ensure that your buffet table isn’t overly burdened with desserts and appetizers, you could circulate a “To Bring” signup list via email. Unless you’re planning an adults-only party, you’ll need a way to keep the kids busy and out of trouble. It’s best to select child-friendly activities that don’t require much adult assistance. Set up crafts stations that are simple enough that the kids don’t need directions, such as a bubble blowing station. If you’re expecting a few toddlers, purchase a set of ball-pit balls and dump them into a dry kiddie pool. And don’t forget to serve some child-friendly food! Even the most carefully planned outdoor party can be derailed by an unfavorable weather forecast. It’s always a good idea to have a backup plan. If you’re inviting too many people to comfortably fit into your living room or dining room, you’ll need to temporarily add on to your living space. Purchase or rent an outdoor canopy to give your deck or porch a roof. Throw open the door so your guests can freely mingle in or out of the house. Looking for new houses for sale in Wilmington, DE? You’re in luck! Montchanin Builders still has new homes for sale in our beautifully designed communities of Darley Green and The Overlook at Rockford Falls! These home sites are perfect for folks who love to entertain. Both communities feature plenty of open spaces and lots of greenery. The Overlook at Rockford Falls offers views of Alapocas State Park and is near the Brandwine Creek —an ideal setting for backyard parties. If you’re looking for new homes in northern Delaware, schedule a viewing today! There are so many factors home buyers look for when they’re shopping around. A house is the biggest investment most families make, and so it makes sense to take your time and compare the details. If you’re a first-time home buyer in Wilmington, Delaware, one of the factors you might want to consider is the amount of natural sunlight a house receives. Sunshine is so important for your overall health—plus, it improves the energy efficiency of the home! There is plenty of scientific evidence to suggest that natural sunlight is beneficial for human health. Perhaps the most well-known benefit of sunlight is the vitamin D it produces in human bodies. Vitamin D is the only vitamin that can be synthesized through a photosynthetic reaction. It’s essential for strong bones, cancer prevention, and heart health. Even if you were already familiar with the benefits of the “sunshine vitamin,” you might not have known that natural sunlight can make you more productive in the office. This is because sunlight is a key regulator of melatonin, a hormone. As sunlight enters the optic nerve, it triggers the cessation of melatonin production. When sunlight ceases entering the optic nerve, melatonin production begins again. This regulates the sleep-wake cycle. In other words, if you don’t get enough natural sunlight during the day, you’re more likely to suffer from daytime sleepiness and subsequently, poor work productivity. Sunlight exposure triggers the production of another hormone, called serotonin. If serotonin levels are too low, people are at an increased risk of depressive disorders. In other words, living in a home with plenty of natural sunshine can help boost your mood. Now that you’re familiar with the benefits of natural sunlight for your family’s well-being, it’s time to take a look at shopping for a home that maximizes light exposure. Perhaps the most important factor is the positioning of the house. Since the U.S. is in the northern hemisphere, all walls facing south will receive the most amount of sunlight throughout the day. Look for a home that places the longest wall facing south. Ideally, this wall would have few to no offsets. The interior layout of the house can also play a role in optimizing natural light. It’s a smart idea to put the rooms that receive the most daytime activity on the south-facing wall. And of course, that wall should ideally have lots of large windows. This is why architects often place bedrooms along the north-facing wall. Montchanin Builders embraces new concepts in home design and building, including the optimization of natural sunlight and the incorporation of energy-efficient features. Tour our walkable communities in Delaware today! Enjoy the tree-lined streets and wide open spaces of Darley Green. Tour The Overlook at Rockford Falls, which has a prime location near the Brandywine River, and easy access to state park land and walking trails. If you’re looking for homes for sale in Wilmington, DE and beyond, schedule a personal tour of our new homes for sale in Delaware by calling 302.472.7212. So you’ve decided to purchase a new townhouse. It’s a smart decision to build equity in your own property, rather than pay rent to a landlord. 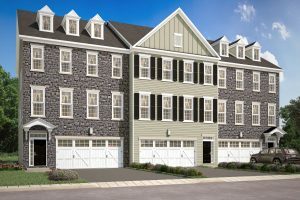 Plus, townhouses are typically located in beautiful, family-friendly neighborhoods, such as The Overlook at Rockford Falls near Wilmington, Delaware. When you’ve saved up for a down payment and you’re ready to take on the responsibilities of homeownership, you can use the following checklist for buying a townhouse. It’s helpful to get pre-approved before you get down to the business of house hunting. During the pre-approval process, the lender examines your proof of income, credit history and score, and other financial documents. Based on that information, the lender will tell you how much of a house you will be able to purchase. You’ll get a pre-approval letter, which states that your mortgage application will be approved pending the submission of certain documents. With this letter in hand, you’ll be able to view houses with confidence. The viewing of a house for sale is easily the most exciting part of the process. Come prepared with a small notebook and camera or your smartphone. You’ll want to take notes and pictures. If you tour multiple houses, you can compare your notes and pictures later on to help you make your final decision. It’s all about location, location, location. After you’ve checked out every inch of the townhouse you’ve fallen in love with, take a walking tour of the neighborhood. Explore the community, check out the nearby nature trails, and meet the neighbors if they’re out and about. After your walk, you can hop back in your car to check out the nearby amenities. Some of the local attractions you might want to look at include schools, parks, museums, restaurants, recreational centers and fields, and stores. 4. Purchase your new home! The last step on our buying a townhouse checklist is to schedule your purchase agreement appointment for your new home! While it’s important to make sure that you truly want that particular townhouse, you don’t want to wait too long to schedule a follow up appointment. If it’s a desirable property, there could be lots of other house shoppers looking at it. Once you’ve purchased your new home, you can start counting down until your selections appointment and closing day, when that beautiful new townhouse will be all yours! When you’re ready to become the proud owner of a new townhouse, you’re invited to schedule a viewing at Darley Green or The Overlook at Rockford Falls—Montchanin Builders communities. These luxury townhomes in Wilmington DE have everything that modern homebuyers need, from plenty of storage space and flex rooms to gourmet kitchens and even an optional elevator! The Ovelook at Rockford Falls community is fabulously walkable, with homes that overlook Brandywine Creek and border state park land. Call Montchanin Builders today to schedule a viewing. Ask us about our special financing options. Our recommended lending specialist, Supreme Lending, can get you pre-approved quickly so you can focus on shopping for your dream home in Delaware! If you’ve spent any amount of time near Wilmington, Delaware, you may have found yourself in Rockford Park, one of the most beautiful and peaceful places in the area. It’s over 60 acres of lush greenery, walking trails, dog parks, and historic sites. The grassy meadows and gently sloping hills overlook the majestic Brandywine River. But if that view isn’t enough for you, just climb up to the top of the 100-year-old stone tower to get great views of Wilmington. The peaceful residential neighborhoods surrounding Rockford Park are some of the most sought-after real estate in the area. If you’re looking for new construction homes in Rockford Park, look no further than The Overlook at Rockford Falls—an exclusive Montchanin Builders community that features luxury townhome living. Master architects and craftsmen collaborated to create The Mill—a remarkable four-level townhome with three bedrooms, two and a half baths, and a two-car garage. There is plenty of space within this 4,000-plus square foot home to entertain family and friends. As you walk into the foyer on the entry level, you are greeted by the stunning view from the optional entry level recreation room, deck or entry level bedroom with adjoining bath. Walk up to the main level to relax in the great room with its included gas fireplace. The open concept floor plan features a gourmet kitchen, elegant dining room, and pocket office space with a huge deck overlooking the panoramic view of Alapocas State Park. The master bedroom is a sanctuary with a large walk-in closet, sitting nook, and master bathroom. On the bedroom level, you’ll find two additional spacious bedrooms. For your convenience, you’ll also find the laundry room on the bedroom level. The lower level of The Mill features ample flex space and storage possibilities. The Mill is a beautifully appointed townhome with many luxurious features included, plus optional features so you can customize your home in Rockford Park. On the exterior, you’ll see the Stone & James Hardie façade, professional landscape package, and conveniently placed exterior lighting. Can you envision living at The Overlook at Rockford Falls? Take a tour and find out for yourself why so many families have chosen a Montchanin Builders community. Our new construction homes in Rockford Park are nestled within a peaceful, walkable community of just 32 luxury townhomes, maintaining its small town ambiance. Montchanin Builders invites you to take a tour of our beautiful community. During the winter of 1912, a small group of friends got together. All of them had known Howard Pyle, an author, illustrator, and native of Wilmington, Delaware. Pyle had died the previous year, and his surviving friends decided to honor his memory by forming the Wilmington Society of the Fine Arts. It was from this event that the Delaware Art Museum was born. Today, the museum is home to an extensive collection of British pre-Raphaelites, John Sloan works, and American 19th century artwork. It’s also a popular destination for families interested in checking out exciting events, classes, and activities. Here’s a look at some of the upcoming events and exhibits you’ll find at the Delaware Art Museum this year. This upcoming exhibit is a perfect choice for families with young kids. It’s open from March 2 through May 12, 2019. The exhibit is comprised of more than 100 original illustrations that captivate children and take adults back to the simple innocence of childhood. This exhibit features an eclectic collection, from the Brothers Grimm to Dinosaur Bob. You’ll see works by notable artists such as Kate Greenaway, Randolph Caldecott, and Maurice Sendak. Every second Sunday of each month, the Delaware Art Museum hosts Family Second Sundays. It’s a full day of enrichment programming designed especially for families. The event kicks off with Art Museum Babies, featuring circle time, sensory play, and a “baby-friendly visit with a special work of art.” The suggested age range is 0-2. The Delaware Art Museum is a favorite destination for aspiring artists. Originally, it was one of the only places in the region where artists could gather for classes. These days, there are workshops and classes suitable for artists of all ages and skill levels. Choose from photography, metalsmithing, ceramics, drawing, painting, and printmaking. Families with young kids and teenagers should be sure to check out the upcoming youth classes and workshops, like Art Launch, Artwise, and Advancing Young Artists. This concert concludes the 10th anniversary season of the Pyxis Piano Quartet at the Delaware Art Museum. It will be performed on May 2, 2019 at 8:00 pm. However, you’ll want to get there early. Heather Campbell Coyle is presenting a curator’s talk before the concert, starting at 7:30 pm. The Pyxis Piano Quartet (violin, viola, cello, and piano) is expected to play works by Beethoven and Brahms, as well as a piece by a local composer, David Schelat of Wilmington. Before the concert, you can purchase light fare and alcoholic beverages at the Thronson Café. Complimentary coffee and dessert will be served during the intermission. Looking for homes near Delaware Art Museum? Montchanin Builders’ newest community, The Overlook at Rockford Falls, is within easy walking distance of many family-friendly attractions, including the Delaware Art Museum. You’ll also find yourself just a stone’s throw away from a walking trail, and state park land. This beautifully designed, walkable community is comprised of just 32 luxury townhomes in order to encourage a close-knit, neighborly ambience. For homes near the Delaware Art Museum, schedule a viewing today and find out about special financing offers by calling Montchanin Builders at 302.472.7212. Closing on a new home in Delaware is a long process. But even after the last signature has been obtained, you still have a few things to do. Use this checklist to guide you. Contact the post office when you have a moving date set. You can change your address in advance of your move, and instruct the post office to put the change into effect on moving day. It’s less hassle to find local contractors before you need them. Do a quick Internet search to find plumbing companies, electrical repair companies, and other contractors. Print out a list of the names and numbers, and keep it by the landline. You should keep all documents pertaining to the purchase and ownership of your new home indefinitely, or at least a few years after you sell your home. It’s a good idea to make copies of these documents, and store the originals and copies in safe locations. Make sure your homeowner’s insurance policy reflects your new address. Take photos of your major possessions, and store in a safe location. Every homeowner should know where the electrical panel is located. Check the labels to ensure they are accurate. Locate the main water valve, which can shut off or turn on water to the entire home. Know how to shut off the water, just in case of future emergencies like a major leak. Plumbers recommend keeping the hot water heater at 120 degrees Fahrenheit. Turn yours down if need be to avoid scalding injuries and save on your utility bills. It’s customary to change the locks when moving into a new home. Call a locksmith to handle this for you or install a smart lock. If you didn’t purchase your home in brand new, move-in ready condition, consider having a housecleaner do a deep clean on every floor before you move your furniture in. Additionally, get the rugs cleaned unless they are new. Property tax discounts are widely available. If you’ve purchased a new home in Delaware, you may qualify for the homesteading property tax discount. You may only have 10 days to change your driver’s license after you move to Delaware from a different state. Visit the DMV’s website to learn more about state guidelines. Don’t forget to update your car registration too. Unless you’ve purchased a new construction home, you should have an HVAC technician service the system right away. Unrecorded deeds are still valid and enforceable. However, you should still confirm that you are on record as being the current owner of the house. Always have the chimney cleaned before using it for the first time. You’ll need to get it cleaned at regular intervals after that. Post your name on the inside of your mailbox. If you’ve just joined a homeowners’ association, or HOA, you should introduce yourself to the president. Get a copy of the bylaws and read it carefully. Start off on the right foot by introducing your family to the new neighbors. Ask for tips on local favorites, like restaurants and sports activities. Put inexpensive blinds on the windows until you’re ready to decorate with window treatments. Measure the room widths and lengths. Take this information with you when you go furniture shopping. Take your time choosing new furnishings and décor. You’ll want to love your choices for at least the next few years. Every few years, check over the important documents you’re saving. Every year or so, check for unusual changes in your utility bills. Look for and correct causes of increasing expenses. Check for new discounts on homeowner’s insurance every year or so. Create and maintain a list of handyment or contractors needed for repairs or preventative services. Keep a handy list just in case of an emergency. Congratulations on being a homeowner! Now kick back, relax, and enjoy it! Montchanin Builders cordially invites you to tour our new move-in ready homes in Delaware. Our new construction homes are located within beautiful, friendly neighborhoods like Darley Green, The Overlook at Rockford Falls, and The Town of Whitehall. You can schedule a personal tour by calling 302.472.7212. When you picture yourself in your own home, what do you see? Kids playing in the yard? Waving to the neighbors as you pull in the driveway? Hosting fabulous dinner parties for friends and family? Chances are, you aren’t picturing the less glamorous side of homeownership: Maintenance and upkeep. As rewarding as it is to own your own home, it’s also a lot of hard work. There’s snow to shovel in the winter, grass to cut in the summer, and leaves to rake in the fall. The never-ending maintenance tasks associated with homeownership is just one of the many reasons why so many people are choosing to purchase new homes in Delaware townhome communities. Here’s a look at some of the benefits you can look forward to with townhome living. There’s nothing wrong with a little manual labor once in a while. In fact, if you have an office job that requires you to stare at a computer all day, you might catch yourself fantasizing about spending a day gardening or refurbishing a deck. But when you get down to the business of raking leaves and shoveling snow, you’ll quickly realize that there’s a good reason why a maintenance-free lifestyle is appealing. So, banish those callouses and backaches, because townhome living includes exterior maintenance! At Montchanin Builders’ planned community, Darley Green, you’ll never have to worry about shoveling snow or raking leaves. If you’ve ever had to hire a landscaper or a similar contractor, then you know how nerve-wracking the process can be. Should you do a background check? How exactly does one go about doing a background check? What if the contractor doesn’t finish the job? And what options do you have if the landscaper mows over your prized begonias or the plow operator scratches your car? With low maintenance townhome living in a community like Darley Green or The Overlook at Rockford Falls, there’s no need to worry about finding reliable maintenance help—it’s all taken care of for you. 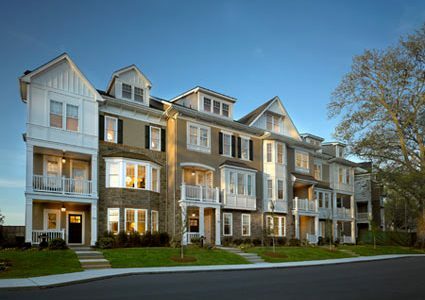 Delaware townhome communities are your chance to experience the good life. You’ll have incredible neighborhood amenities within walking distance. Enjoy the wide-open spaces, walking trails, and neighborhood gathering areas. Walk over to a local shop or restaurant. Get in better shape with help from the beautiful jogging paths. The possibilities are virtually limitless. Are you ready to take advantage of low-maintenance Delaware townhomes? Montchanin home builders in Delaware invites you to explore our beautiful, new homes in our Delaware townhome communities of Darley Green and The Overlook at Rockford Falls—one of our newest, highly sought-after neighborhoods. You’ll get the benefits of low maintenance living in our new, move-in ready homes, plus easy access to neighborhood amenities. And if you ever feel the need to experience the bright lights of the big city, Philadelphia is a quick drive away! Call us today at 302.472.7212 or fill out our online contact form to get the ball rolling! The kitchen is the symbolic soul of your home. It’s where guests gather to chat, and where family members reconnect after a long day at work or school. You can brighten up any gathering by designing your new townhome’s kitchen with bold splashes of color. It all starts with customizing your kitchen with aesthetically pleasing additions, like the backsplash, countertops, and cabinets. Then, bring in your own personal style with less permanent additions. If you’ve just purchased your new townhome in Wilmington, DE from Montchanin Builders, you have the option to personalize your kitchen countertops. Choose from a variety of colors of granite or Corian Quartz. Usually, interior designers recommend choosing countertops before other features, as it can be easier to match cabinets and backsplashes to the countertop. If your style is modern, consider selecting white granite or quartz countertops. Although white itself isn’t a bold color, it does give you plenty of leeway. Use it as a background to add bold colors elsewhere. Black countertops are also popular, or you could break the mold by going with a mossy, earthy green. Montchanin Builders also has a variety of decorative backsplashes to choose from for your new townhome. When matching your backsplash to your countertops, pick out the highlights of color that are similar to your countertops. For instance, your granite countertops might have veins of blue-gray or specks of warm gold. Look for a backsplash that also features these colors. Cabinets can be tricky. If you’re going for a traditional look, you might want to stick with a darker, rich wood color. But if you have a modern style, consider choosing a painted cabinet. The two-toned cabinet trend is quite popular these days, and you can use it to showcase a bold color without overwhelming the kitchen. For example, you could have the perimeter cabinets painted a white and the upper cabinets painted a dark gray. No kitchen is truly complete without living greenery. Consider installing a vertical herb garden on the pantry door. You can purchase the structural elements pre-made or take a DIY approach—just check Pinterest and YouTube for ideas. Install some small hanging planters in the window over the kitchen sink, or add a few small succulents to the window ledge. Seasonal decorations give you plenty of flexibility, since by nature, they’re intended to be swapped out and replaced periodically. In the summer, place a bowl of bright citrus fruits on the countertop. Winter is the perfect time of year to use fresh red cranberries as a decorative piece. Montchanin Builders brings together unmatched aesthetics and precision craftsmanship in our custom homes. We’re known throughout Delaware for our beautifully designed neighborhoods. 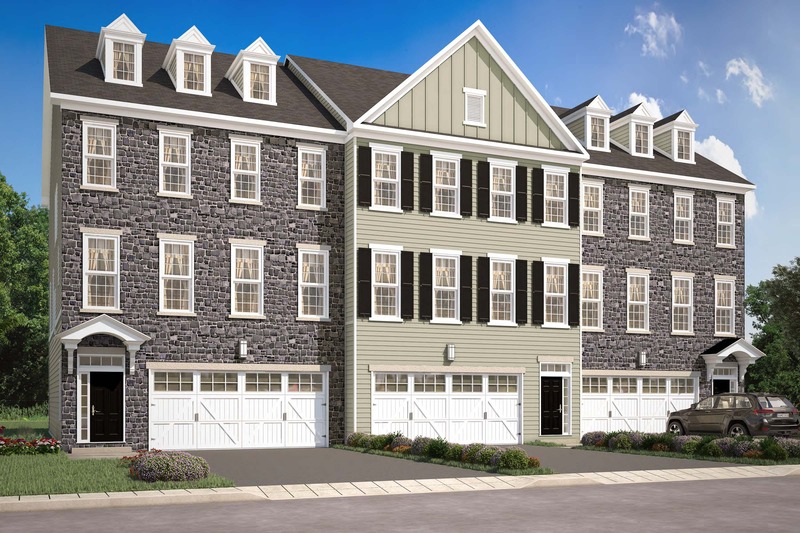 Our new townhomes for sale in Wilmington, DE are available in The Overlook at Rockford Falls and Darley Green. Call us today at 302.472.7212. The architectural significance of the long-abandoned Bancroft Mills site in Wilmington, Delaware attracts visitors from all over who wish to explore and photograph its hauntingly-beautiful features. Residents of Montchanin Builders’ newest community, The Overlook at Rockford Falls, get to experience it first-hand, as their townhomes are steps away the historic Bancroft Mills site — overlooking tranquil Brandywine Creek. 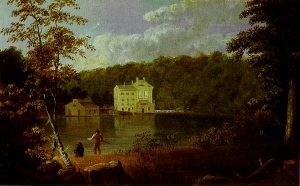 In 1787, the first paper mill, Gilpin’s Mill, opened in Delaware along the banks of the Brandywine Creek. A half-century later, a textile company owned by an English immigrant named Joseph Bancroft opened on the same site. Bancroft Mills, which began in the original paper mill, grew on the site until it closed in 1961. In the 1930s, it was considered to be one of the finest cotton-finishing factories worldwide. The property then changed hands in the 1960s, and the Wilmington Piece Dye company owned it until 2003, when it filed for bankruptcy. A fire in 2015 sent the mill into a further state of disrepair, but much of the original structures located downstream remain intact. There are three primary points of interest you should check out when planning a visit to Bancroft Mills. Tie it in with a picnic lunch and a site tour of the nearby The Overlook at Rockford Falls, and you’ll have all the makings of a memorable day. You can view the remnants of the old, covered pedestrian bridge that used to connect the banks of the Brandywine, leading to the factory – it’s closed now, for good reason! Farther upstream is a new pedestrian bridge which you can walk on and which offers some great views of the old mill. Just upstream from the older bridge are the beautiful falls of Brandywine Creek. The falls are very picturesque, and the sound of the rushing water soothes the soul. Sprinkled throughout the abandoned buildings are several artifacts of the past, including bolts of fabric, original washing tubs, and even signs from the management reminding employees to keep their work areas neat. Interested in townhomes on the Bancroft Mills site? Our exclusive community of only 32 luxury townhouses truly impresses with peaceful stream and rock wall views. Homeowners will enjoy access to a walking trail and state park land. The innovative floor plans present an abundance of living space with up to 4,000 square feet, featuring three bedrooms, two and one-half baths, versatile great rooms and even an optional elevator for ultimate convenience. We invite you to visit the Bancroft Mills townhomes at The Overlook at Rockford Falls for a personal site tour of our special townhome community and new Design Center. Contact us today to schedule an appointment! Homebuyers in Wilmington are often faced with a perplexing choice: Do I want to live downtown or in the suburbs? Neighborhoods outside the city center tend to afford a quieter lifestyle, more space and access to nature, whereas a city address promises a vibrant climate, close to entertainment and cultural experiences. But what if you could enjoy the best of both worlds without making sacrifices? A luxurious home overlooking picturesque landscapes that is walking distance to the Delaware Art Museum and other amazing attractions. With Montchanin Builder’s new homes on Riddle Avenue, you can have it all! Close proximity to a host of family-friendly points of interest, outdoor activities and historic sights are just one of the perks of these fashionable townhomes, situated on the historic Bancroft Mills site. Embrace the scenic beauty of the Brandywine River in a home that boasts exceptional views, wooded areas and walking trails where neighbors and children have ample opportunity to interact in green, peaceful environments. The Overlook at Rockford Falls is an attractive option for homebuyers who want cultural diversity, recreation and entertainment without a long commute. Don’t miss out on these spacious, expertly-crafted townhomes, located less than 1 mile from downtown Wilmington! Living on Riddle Avenue has many benefits, whether you’re a Millennial looking for urban excitement, or an empty nester in search of cultural escape. The Overlook at Rockford Falls is just minutes away from some of the area’s most walkable parks and recreational sites. Alapocas Run State Park – It’s hard to picture such a lush oasis in the center of Wilmington, but this state park is brimming with scenic trails, picnic areas, athletic fields, a rock climbing area, and a popular 27,000 square-foot Can-Do Playground. Brandywine Zoo – Located on North Park Drive, the Brandywine Zoo makes for a great outing with the kids. The zoo features wildlife from North and South America, Asia and Africa, and also has FREE family experiences like Zookeeper talks and close encounters with education animals. Rockford Park – Surrounded by green, rolling hills, Rockford Park has lovely forested areas that are perfect for a day hike, outdoor picnic, kite flying and other family fun. Delaware Art Museum – This wonderful gem offers an impressive collection of pieces crafted in stained glass, silk, oil, blown glass, and other unique mediums. There are paintings and prints by John Sloan, Howard Pyle and a significant collection of Pre-Raphaelite art. The Delaware Art Museum also has a lovely sculpture garden, a gift shop, auditorium and virtual reality exhibits. The Overlook at Rockford Falls is a remarkable community comprised of 32 luxury townhomes. Enjoy easy access to all that Wilmington and the Brandywine Valley have to offer while reveling in the peace and space of a prime piece of property. With more than 4,000 square feet of living space, our new homes on Riddle Avenue won’t stay on the market for long. To learn more about this community or to schedule a site tour, we invite you to contact Montchanin Builders today, call 302-472-7212. Want $15,000* Towards your purchase? Don’t Miss Out - Ask Us How Today! *Available on Select Homesites at Darley Green!